It may surprise you to learn that libraries still exist! Even archives and special libraries with old paper books, microfilm, and dusty records. I have worked at one at the beginning of my librarian career, and then returned to it this year. My department serves over hundred people each month in person, over the phone, or through e-mailed research requests. Throughout the day, I meet experienced historians and novice genealogists just starting their journey. 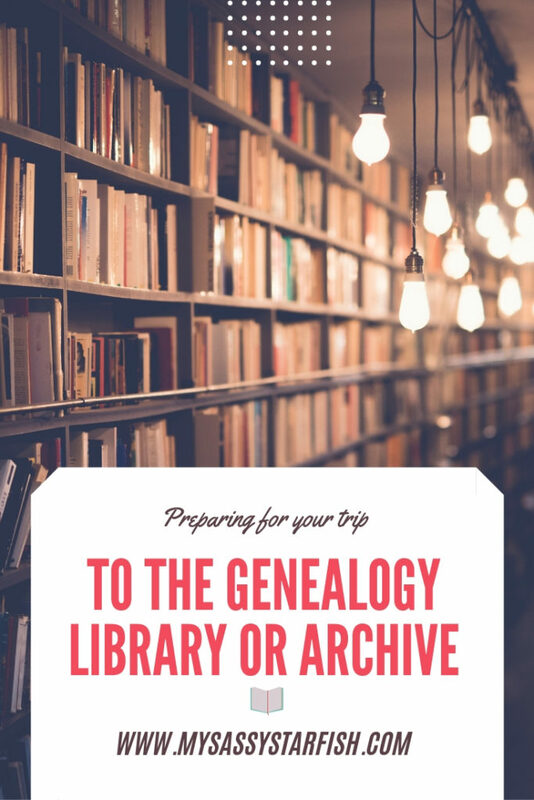 Using my experience, I have created a quick guide to get you started in visiting archives and libraries for your research. Think of all the amazing resources waiting at the library? Why use the library or archive? “Why do you need to go to the library? Isn’t everything online?” These are common questions I get when people find out what I do for a living. Now, millions of records have been uploaded and made available through online services. Digitizing collections is actually a slow and tedious process. Most libraries and archives do not have the staff or funding to make this happen swiftly. 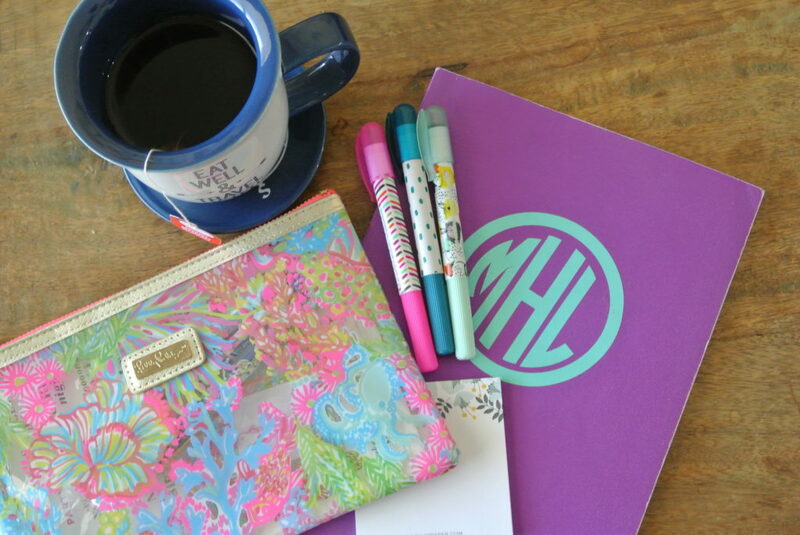 Tips to Maximize your Time at the Library. Before becoming a special collection librarian, I was an intensive researcher for over three years in school. I visited small and large collection from Lake Charles, Louisiana to Edinburgh, Scotland. Here are some things to do before leaving home! If you do not have a plan you could find yourself leaving with more questions than answers. Some things like this are hiding in back rooms of collections waiting to be digitized. Libraries and archives sometimes keep strange hours or limited staff. Small collections can be available by appointment only. You can find the phone numbers for collections online or call the main branch of your library. Make sure to check hours, days, and rules. 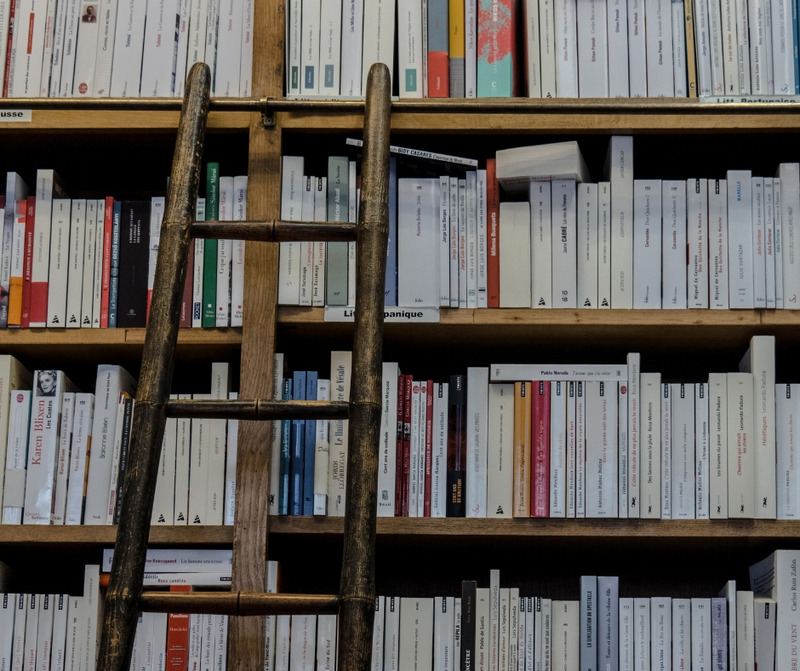 Take some time to ask the librarian or archivist some of the questions at the bottom of this post. Many department will link into a card catalog or index search of their records. Check for family books, named collections, microfilm, and even photographs. 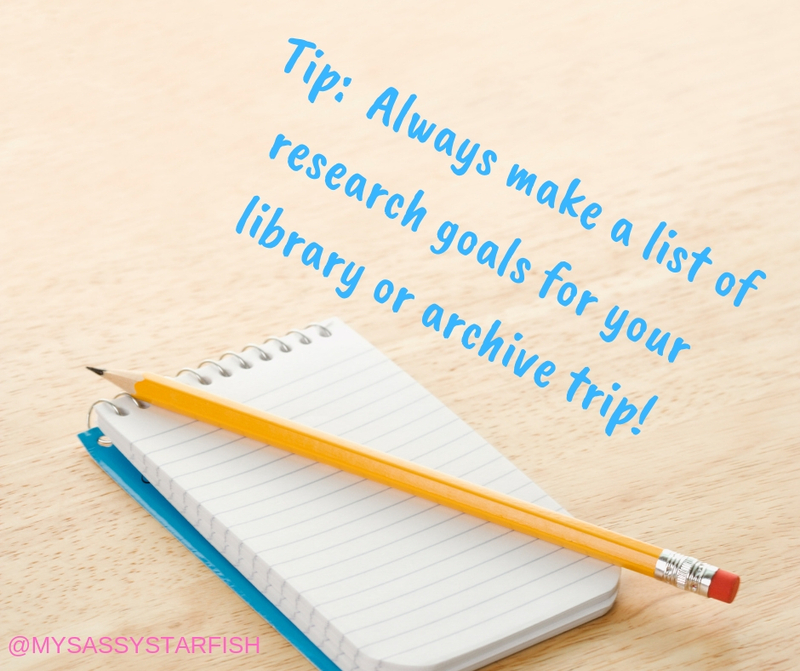 Make a list of resources that can be useful to your research. Some you can even create a digital list before arriving at the location. This is the most important tip by far! Do not go to a library and ask for anything on the Smith family! It will become overwhelming quickly. It is best to pick a few small goals. Example: What date was my grandmother born? What was her parent’s names? Take a few moments to print and fill out a family fact sheet. Free ones can be accessed here. The librarian will ask for years, dates, places, and family names. Knowing what you have is a great way to find what you need. Do you have finding aides or indexes? What geographical areas does your collection cover? Can I make my own copies? How much are copies? What form of payments do you take? Do you have any digital subscriptions? Where can they be accessed? I am looking for ____. What resource do you suggest? Believe it or not. Many librarians are helpful and are experienced researchers themselves. However, a librarian cannot help you without a clearly defined question or goal. 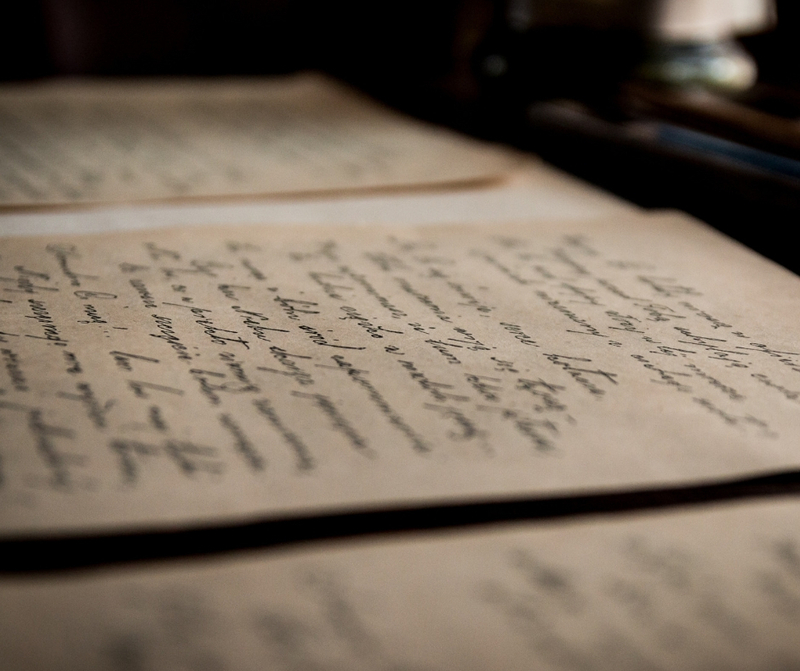 What breakthroughs have you had in your own personal genealogy research at the library? Many people try this, and many people fail. I am talking about months long no spends, shopping bans, or spending fasts. (Many names for the same thing!) For the months of January and February I decided to cut all unnecessary spending. I chose to do this because I did not want to be Christmas poor while going into Chinese New Year. My online teaching job, is very dependent on the ebb and flow of holiday schedules in China. 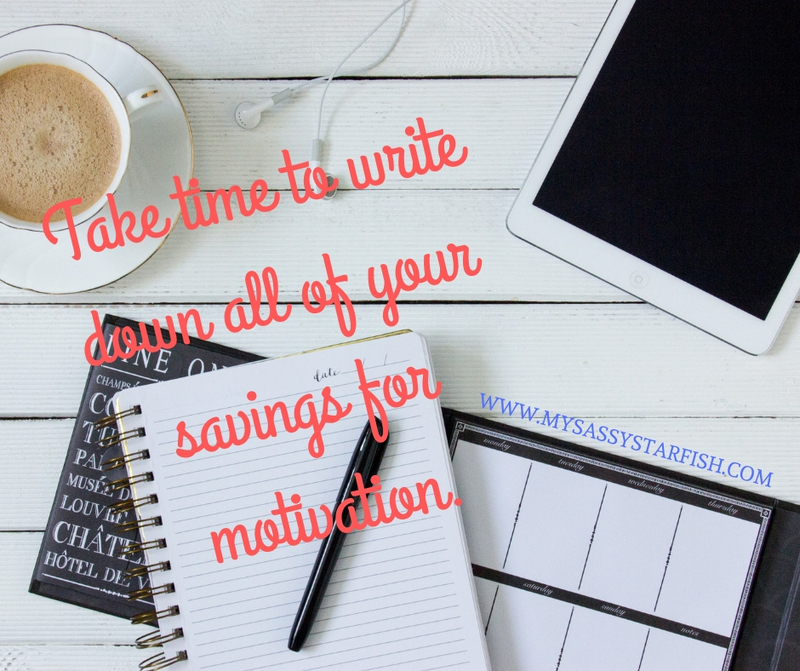 I was able to alleviate some financial stress by focusing on my bills and savings goals. I have completed two no spends in the past by necessity. The first fast occurred when my husband changed careers in 2016. When this happened we had to reassess our financial future. The second was when I changed careers and returned from teaching in Vietnam. By 2018, I decided to become an independent contractor. It took about three months to build my student base to where I needed it. This time, I wanted to consider my actual thoughts behind making purchases. The book The Year of Less by Cait Flanders inspired this challenge. She takes an honest look at why she spends and treats it like an addiction. She was able to change careers and pay off all of her debt by the end of the year. Due to her advice during this book and honest perspective, I decided to model my own rules based on her. Below is my list of original rules that I shared on my Facebook list. 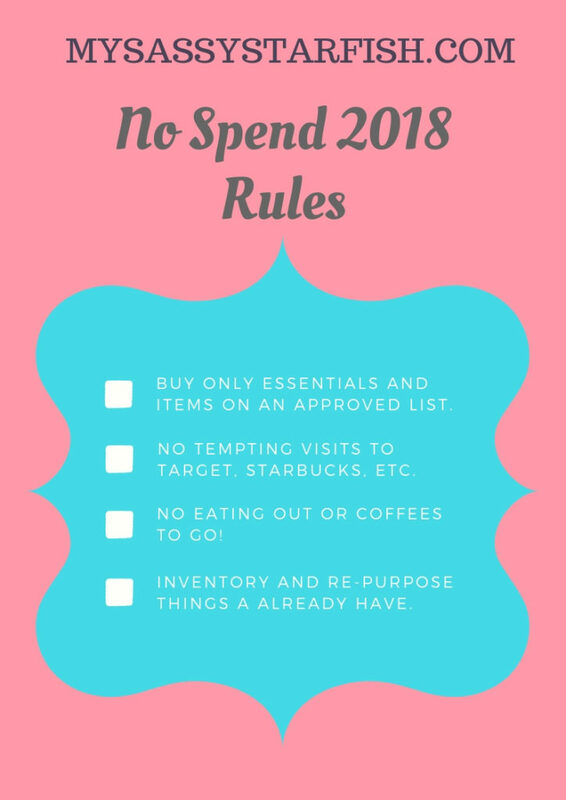 January and February Rules for No Spend! Based on my self-created rules, I did very well my first six weeks. I lapsed towards the end on the rules of eating out entering forbidden stores. (Although I didn’t actually buy anything!) I lasted the full two months without buying anything unnecessary. The only unexpected purchase was a new pair of tennis shoes. I deemed this as a much needed purchase since my other shoes had holes in them by this point. I feel like I met my general goal of thinking about my purchases carefully. The No Spend Challenge helped me show some self-control when it comes to stopping for coffee. I can say that I missed this the most. I enjoy stopping by a coffee shop on my way between two jobs. This breaks up my day and the coffee tastes way better than the staff room Keurig. One unexpected discovery about myself during the challenge. I realized I am more of an extrovert than I realized. I enjoy having a night where I go to the movies, browse shops with a friend, or even go to a restaurant I enjoy. It did cause me to appreciate the times we went out for birthdays and trivia. Some free things like taking a long walk or sitting on the back porch. 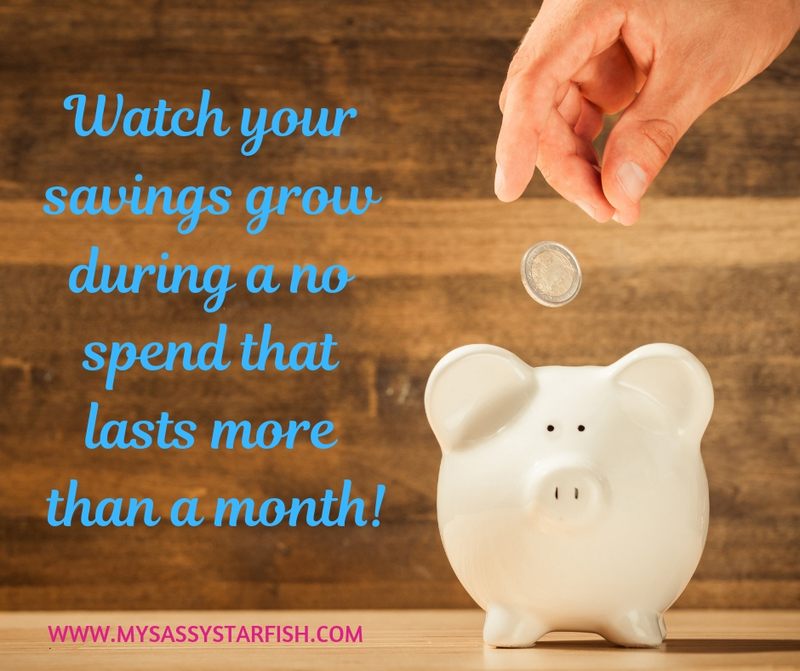 Now that I am out on the other side, I would like to give some practical tips in successfully completing a no spend longer than a month. I said this recently, life is happening to us every day. Situations come up and unexpected problems arise. Also, some things may not be practical for your family. For example, you may need to buy some shoes if you have young children growing like weeds. Take note of possible situations and your family’s needs before even writing your rules. Since I was trying to break a bad habit, I took a page from my friends completing fitness challenges. I posted my first five weeks of progress on my Facebook group. It enabled me to have open conversation from friends and family about spending habits. I was honest about my feelings and my failures. Sometimes, when I was tempted to pull into the Starbucks drive-thru, I would think about having to confess it on Facebook later. How do you feel when you buy something new? Do you try to put salve on a bad day by going clothes shopping? Can’t resist a deal? These are some of the questions you should ask yourself when creating your spending rules. Knowing why you spend and considering your buying urges may be uncomfortable at first. However, I did not realize how much I liked to go to Target when I am stressed. The key to avoiding impulse buying is to plan days, weeks, and even months ahead. In order to avoid buying lunches out, I would pack my lunch the night before at home. I made sure to have plenty of coffee pods so I would not need to find caffeine elsewhere. We went to a concert for Ed’s Christmas gift out of town. I booked a reasonable AirBnb close to the concert venue before No Spend began. Think of upcoming birthdays, events, trips, and daily habits when making plans for No Spend. Don’t forget temptation can come while you are sleeping at night! Take time to remove yourself from e-newsletters. Unsubscribe from shops that are tempting or offer flash sells. I found out I had so many e-mails that I had to unsubscribe in three different sessions. Reward yourself at the end by seeing how much you have saved! It was very encouraging to see the amount of cash in my checking that I could transfer to savings at the end of each no spend month. 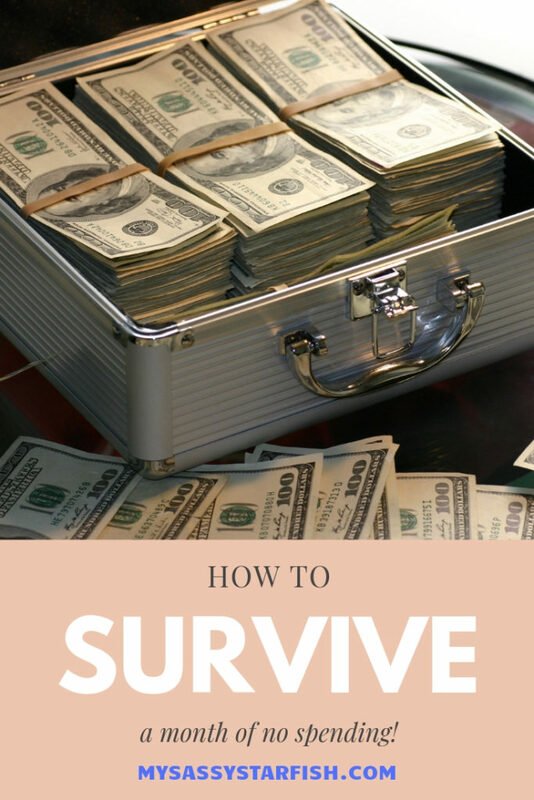 Bonus: Take a moment to look at your bank statements from the months before the No Spend in order to see how much frivolous spending you cut out. I officially ended my No Spend the last week of February when my friend flew in from Scotland. I must admit that it was nice to go into shops and head as I pleased to the coffee shop. Over the two months, I felt guilty telling my friends no about spur of the moment plans or sales. However, now I think twice about purchases. For the future, I hope to continue to implement some of my No Spend habits in the long run. Beginning in April, I will make a fun budget to spend on coffee, eating out, and entertainment for the month. Once the budget is reached I am finished for the month. I am also implementing a buying delay. The higher priced the item, the longer I will wait to purchase it. This way I can take advantage of the good habit I created over January and February of avoiding impulse buying. How long do you think I should wait for an item under $25 dollars? Will you try a No Spend? Have you completed one before? If so, what helped you be successful? 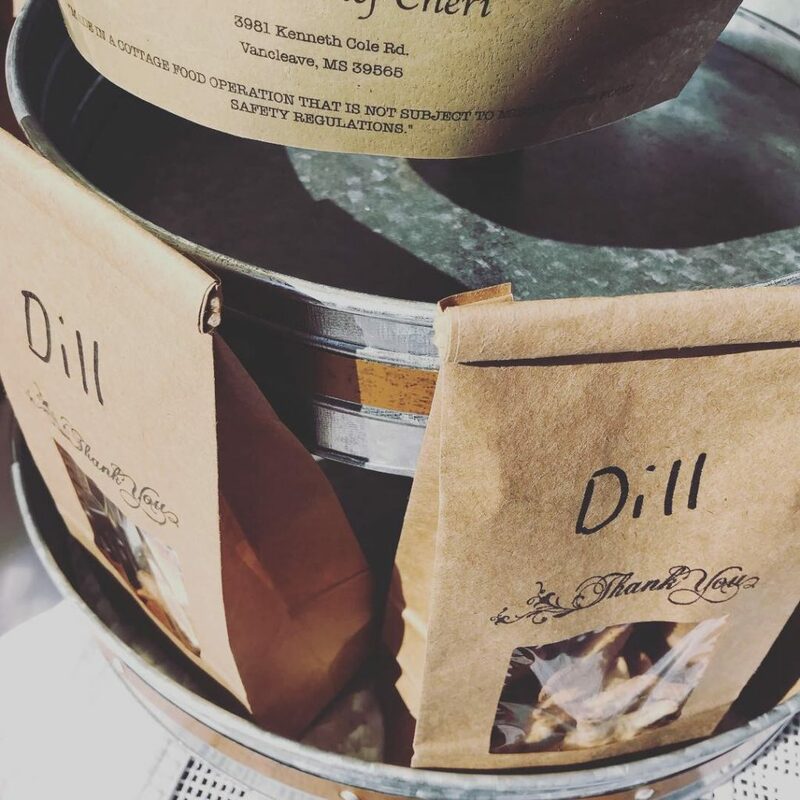 In my quest for a simpler life, I decided to begin making some of my own bath products. I hope to use things that are easy to purchase at the grocery store or on Amazon. After some research, I found some items that appear many times as good for the skin. 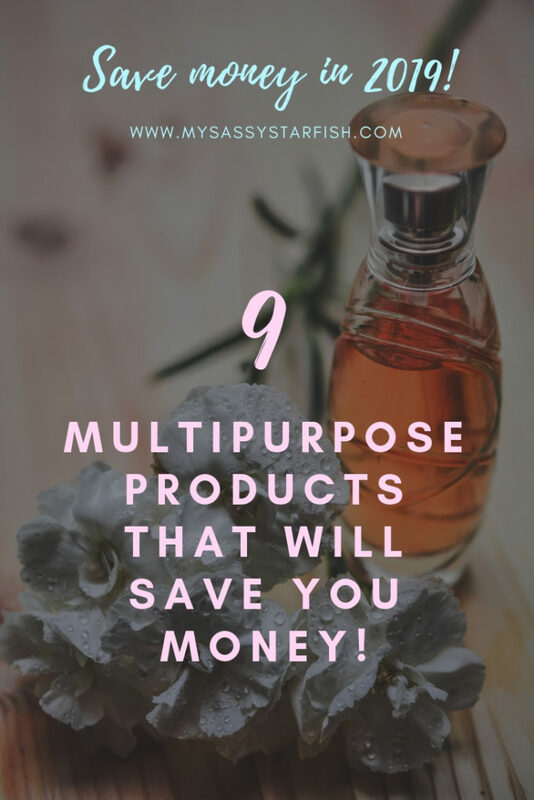 Some of these even appeared in my multipurpose products post last month! My skin has always been oily and prone to breakouts. Although I am over 30 it still breaks out and is still only. Except now I have these weird dry patches as well! Below are some of the more appealing options I found in my search of the great wide web. Mix, shake before using, apply with cotton pads in smooth, sweeping strokes. Blend, store in refrigerator. Apply as splash or with cotton pads. Steep tea bag in a cup of boiling water for 4-5 minutes. Remove Tea bag and chill cup in fridge. Add 2-3 drops of vitamin e oil for hydration. Put in spray bottle and store in fridge. Mix the sugar, coconut oil, and vanilla extract in a mixing bowl. Take a small amount and massage it onto your lips for a minute. Rinse it with warm water. Combine ingredients and store the mixture in a dry place for up to 4 weeks. To use, wet skin first, and then apply in circular motions, gently exfoliating. Rinse. If you have extra sensitive skin, just leave out the sugar. One thing to be aware of is that using this scrub in your shower requires some clean up afterwards! 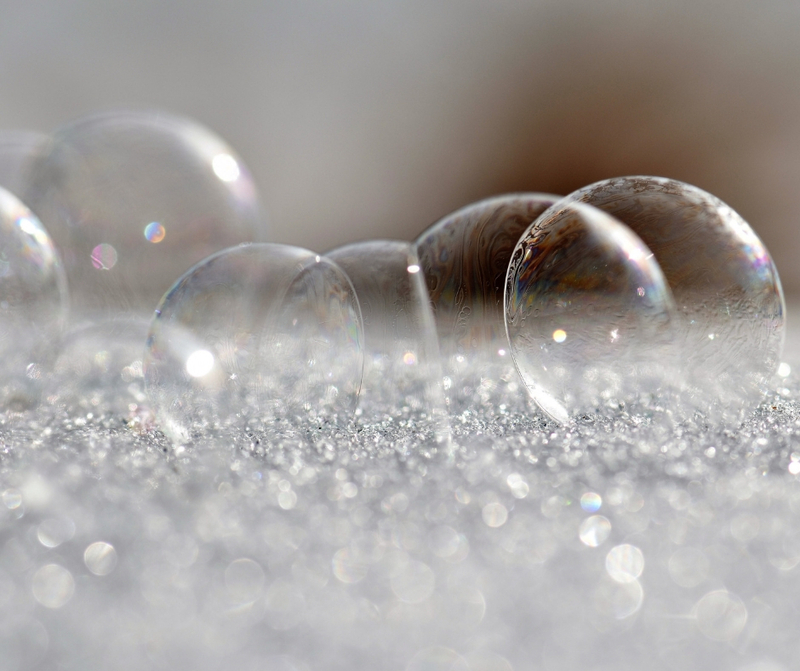 If you don’t want to use castile soap on its own to get clean, you can still use it to make a great body wash! 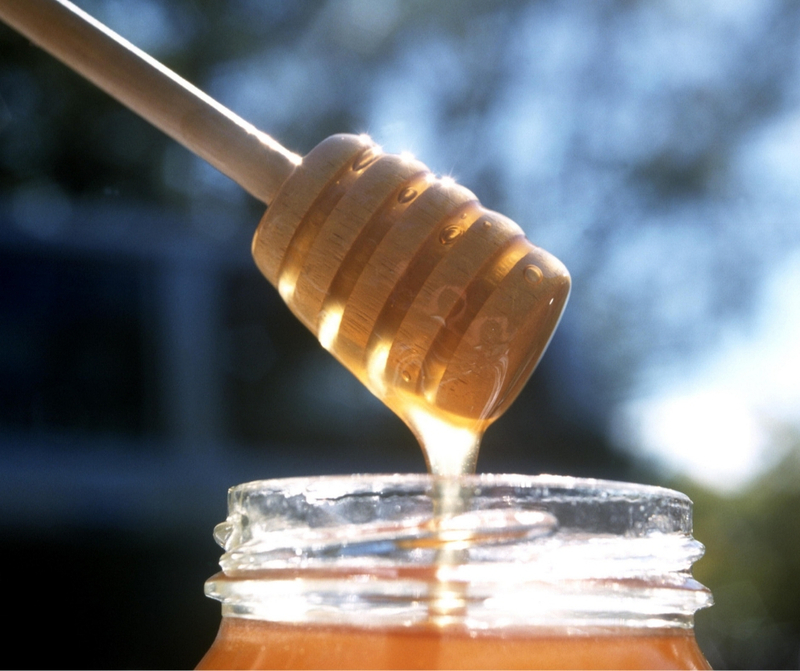 Just mix it with a bit of honey, and some oils to make a gentle body wash that will moisturize and nourish your skin. 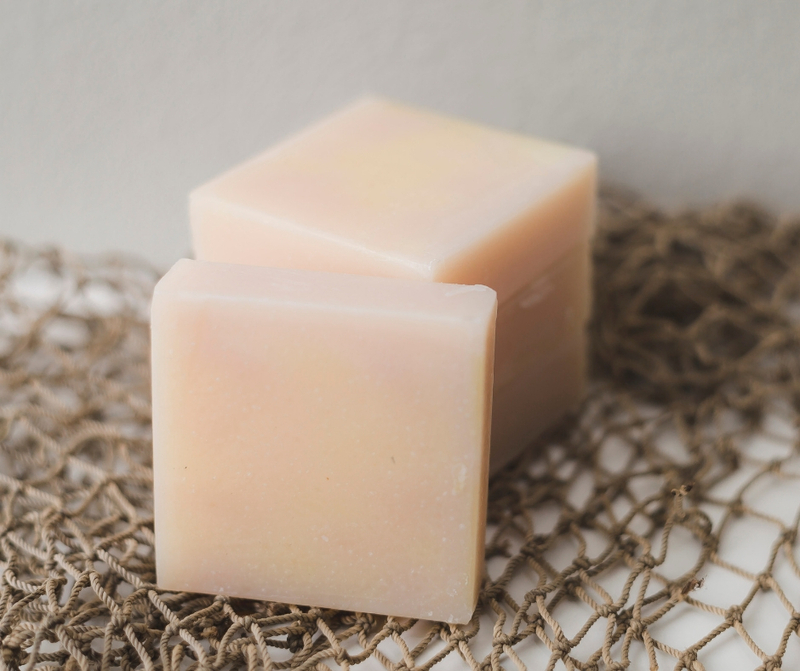 Castile soap is plant based and a wonderful bath product for people with skin sensitivities and allergies. Overwhelmed by the price tag of organic products? A great website to try is Brandless. They specialize in organic products with no additional taxes. They are a wonderful place to begin your search for cleaner and cheaper products. With carnival season in full swing, I have been tempted to stop and buy king cakes all over. 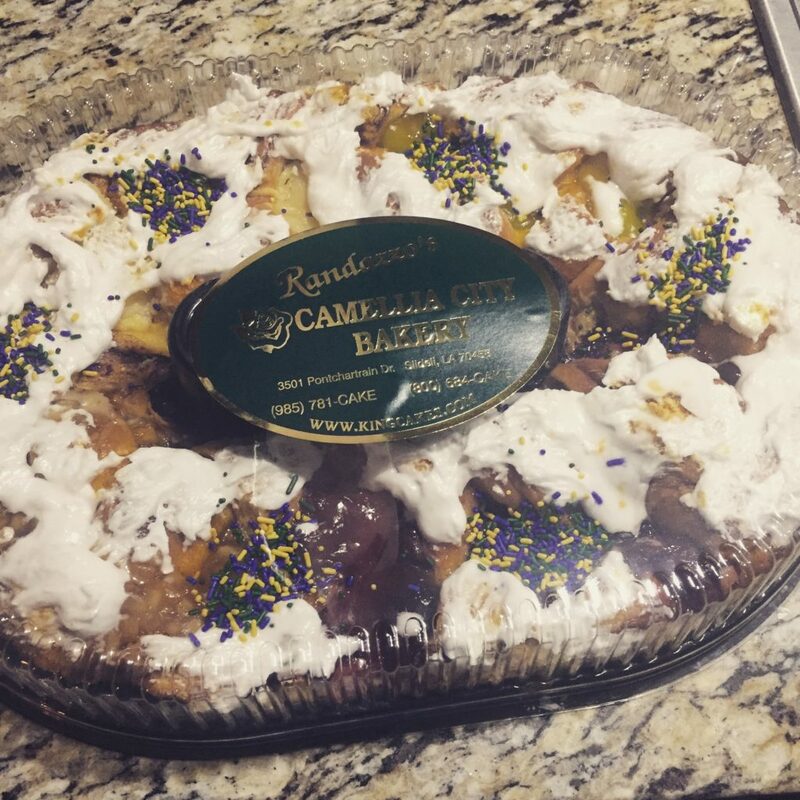 My sweet tooth is insatiable when it comes to king cakes. King cakes can only be purchased between New Year’s and Mardi Gras. (With the only exception being Rouses king cakes for other holidays that appear from time to time like rare unicorns.) My love for king cakes is so intense that my mom plastic wrapped a king cake to send to me. She two day shipped it to Scotland. To everyone’s joy, it was not held in customs and made it intact! 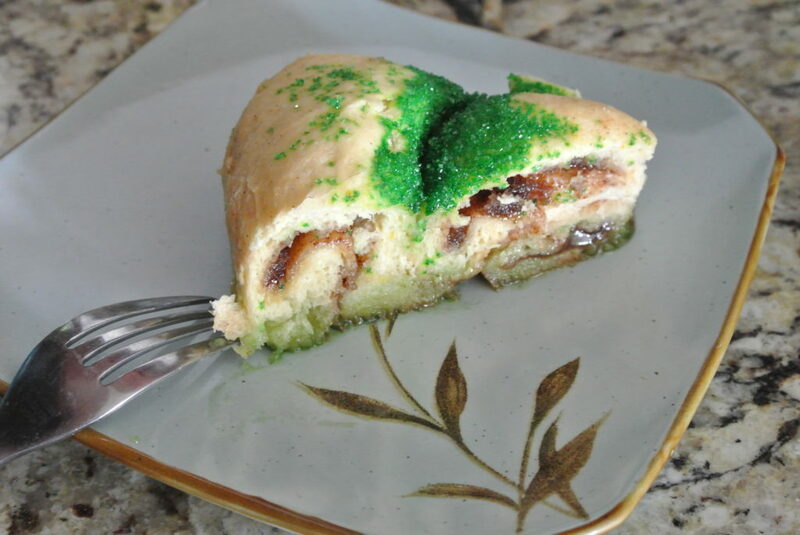 A Piece of my Homemade King Cake! 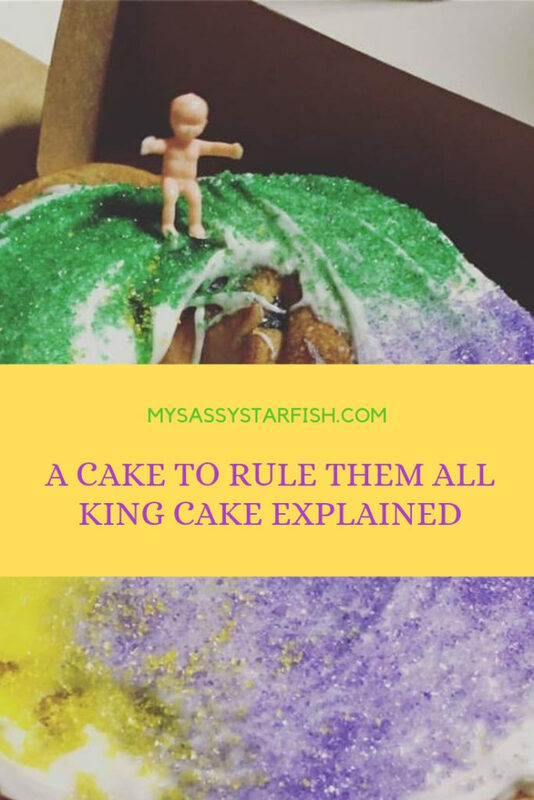 King cake themselves are traced back to the original cakes baked at the Feast of the Epiphany. Originally the Feast was celebrated in Europe on January 6thin honor of the Magi who visited baby Jesus. They baked cakes with coins them. French and Spanish explorers continued to celebrate with these cakes on the Twelfth Night in their new country. Instead of coins, the bean or pea was inside the cake. The person who received the bean became king of the party. What is up with the baby? The first babies where actually porcelain known as Frozen Charlottes. The tale of Frozen Charlotte is very dark. The tale goes that she died from not bundling up despite her mother’s advice. The Louisiana spin, was that Charlotte froze looking for Jesus. (Dark either way!) They were popular in Victorian times. Now plastic babies are used since porcelain is too expensive. The meaning is much simpler with the plastic baby simply representing the baby Jesus. Throughout my childhood we hosted class king cakes every carnival Friday this season. Since safety was lax, we would enjoy the cakes with the baby inserted inside. The student who received the baby was responsible for bringing the cake the following Friday. Many bakeries do not do that in order to avoid lawsuits and choking hazards. Some bakeries still brave it, and place a big warning label on the front of the box. Rouses always has a great selection of king cake. King cakes are available in any imaginable flavor and several flavor types. The original cake was a soft brioche bread with butter. The majority of the cakes today are a doughy cinnamon roll consistency. A few take a few interpretation and are almost like a sweet airy Hawaiian bread texture. One thing they all have in common is cinnamon is always a flavor. The round shape is used to easily hide the baby. Even the filled cakes are not all executed the same way. Some more traditional bakeries pile the filling in the creases of the brioche braid. More commonly the filling is inserted into the middle of the cake like a filled donut. On the Gulf Coast, a fruit, cream cheese, or both filling is popular. If you do not like cream cheese, there are plenty of other options. I have seen apple cinnamon, pineapple, and even chocolate. These are just a few examples. Rouses Supermarket has sixteen flavor fillings. Paul’s Bakery has a variety of flavors and combinations. As long as it is baked fresh with a good recipe you cannot go wrong! Favorite King Cakes Around the Gulf Coast. This Vietnamese bakery not only makes delicious bahn mi sandwiches, but also my favorite king cake. They do not use the cinnamon roll dough or the traditional round shape. They use a soft dough in braids with a thick layer of frosting instead of crystalized sugar. These cakes are so wonderful that the bakery had to impose a two cake per person limit. The reason, people were buying them and scalping them for quadruple the price. Dong Phuong king cakes were being sold up to 80 dollars from third parties! Dong Phuong is located in East New Orleans on Highway 90. Le Bakery is another amazing bakery! If you get there early enough at their location on Oak Street, you can have your pick of all the flaky turnovers in the bake case. (I go for the guava cream cheese every time!) They also have wonderful king cakes. Their king cakes are the main ingredient in Chandeleur Island Brewery’s carnival king cake beer being released at the end of February for Mardi Gras. It will be served on tap in the brewery only. This bakery is unique because it still uses the soft brioche dough and braid their king cakes. Instead of the filling being a jelly consistency, it is a preserve with fruit chunks. It is by far my mother’s favorite king cake. Randazzo’s Camellia is different this way from the famous Nonna Randazzo’s inside New Orleans proper. Get there early, they close early and sell out quickly! My favorite filling is a strawberry cream cheese king cake. However, at the Mockingbird Café in Bay St. Louis, I will always choose their plain cinnamon king cake. It is fresh and flaky baked in house. 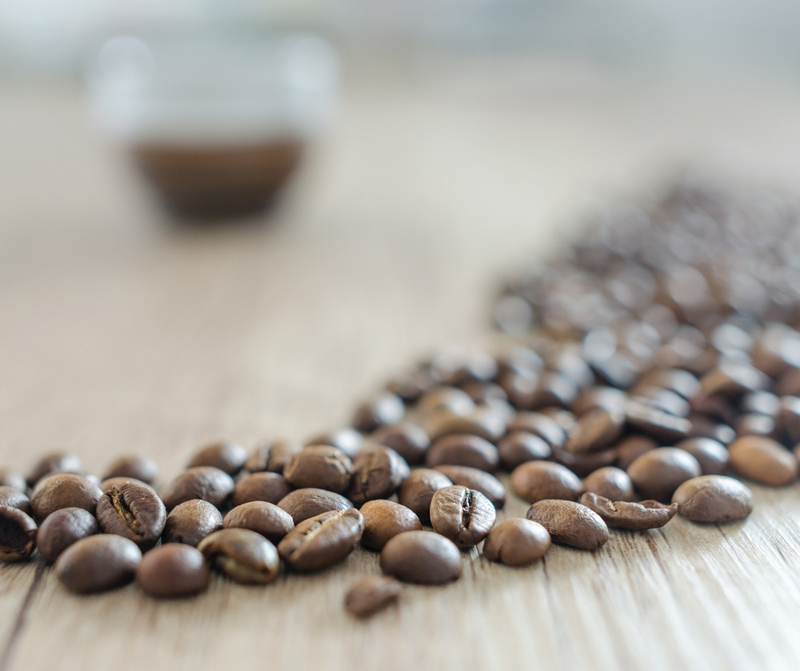 Pair it with a coast roast coffee and it is the perfect combination. 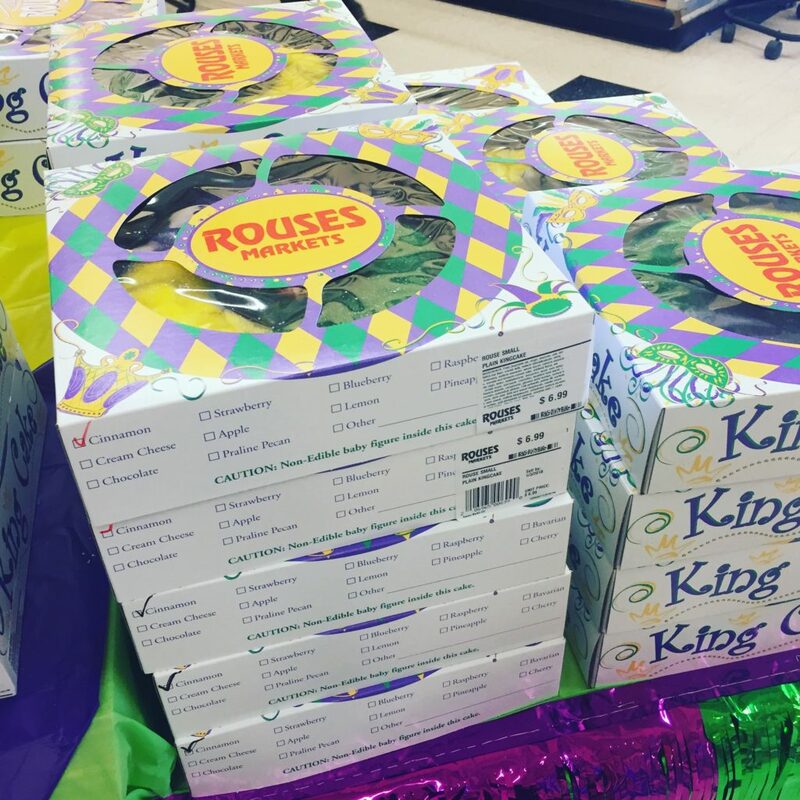 A solid choice if you need a quick king cake for work or any other event is Rouses Supermarket. They are across the Gulf Coast from south Alabama to Louisiana. The supermarket sells thousands of king cakes a year and can ship them all over the country. All cakes are baked in store and not shipped from an unknown location. I enjoy trying different fillings like pineapple and lemon. They are certainly the most economical with a small cake being under ten dollars. 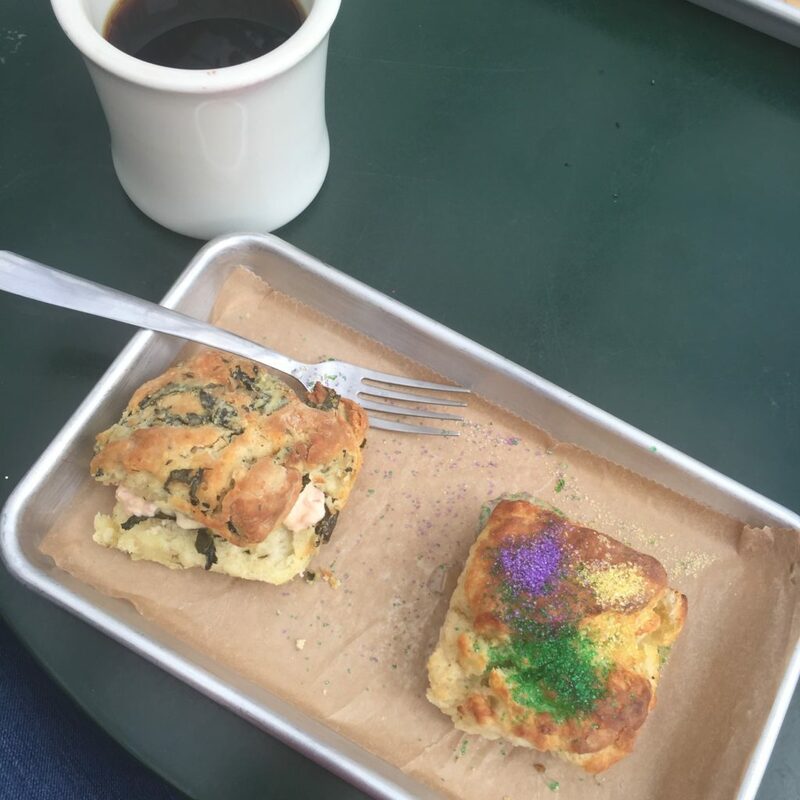 That king cake biscuit at the Greenhouse on Porter! 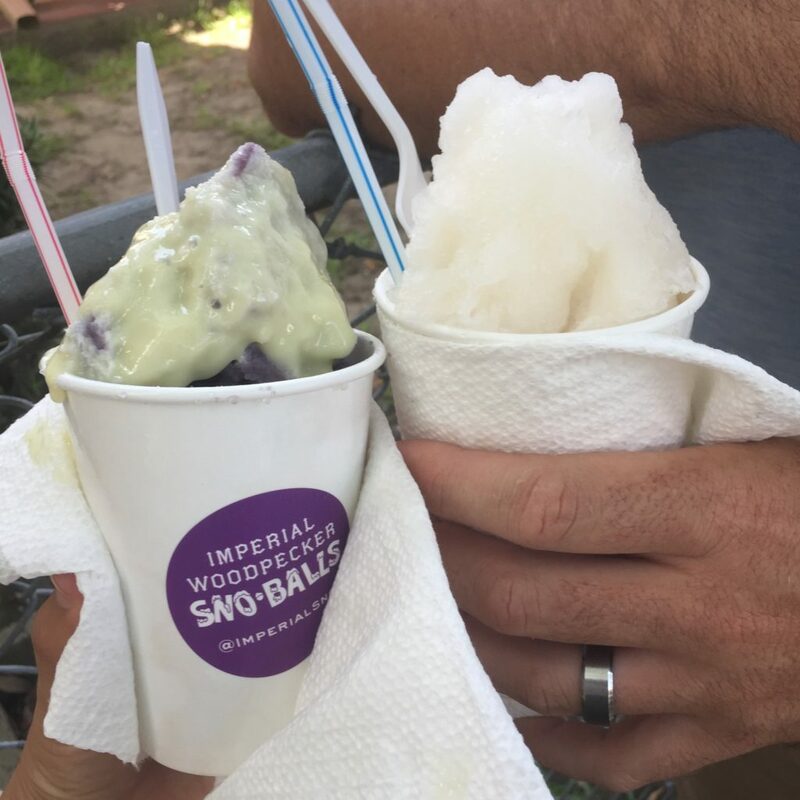 Beating the heat with a king cake snow-ball on Magazine Street New Orleans. What is your favorite king cake? What flavor would you like to try? My earliest memory of Mardi Gras is one gloomy parade day at the North Bay Parade. I was with my parents and sister. That particular parade was special. Because a friend of my dad’s let us use their parade stand. A parade stand is used to elevate kids over the crowds to eliminate their height disadvantage. By doing this, my sister and I made off like bandits that year. We had beads, cups, and MoonPies galore! 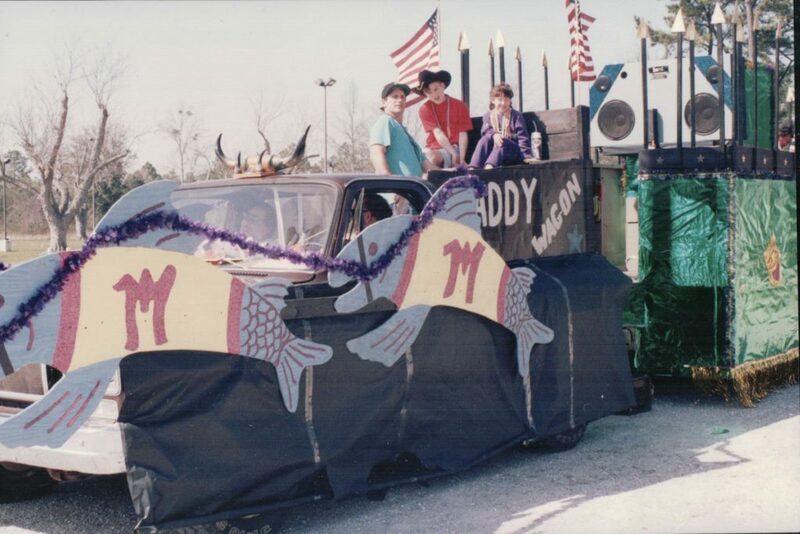 Mardi Gras 1990s with my Dad and I in the Mullet Chariot. 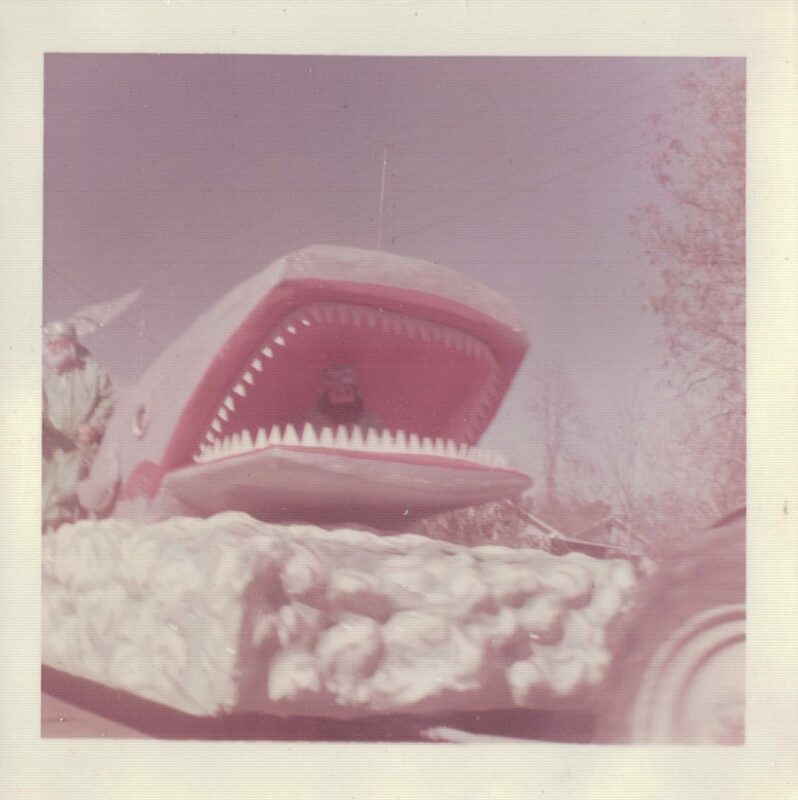 Another year, my dad and a friend rode the “Mullet Hop” float. My dad pretended to drive a chariot pulled by the fish! It was a lot of fun to be on the other side. I did not share this sympathy when I began high school and marched on the flag team in parades. Besides the glamor, the balls, and other revelry, the parades are the main event. They can begin weeks leading up to Fat Tuesday and herald in the season like Christmas music after Halloween. I used to love trying to catch the most, the biggest, and unusual beads each season. My family would always have a massive pot luck at a local car dealership on the parade route. Honestly, Mardi Gras was as big of a family gathering as Christmas. My festive relatives would done on their painted, yes painted, sweatshirts in the classic purple green, and gold. Now that I am older, and the rise of Marie Kondo I could care less about collecting more trinkets for my house. However, I still love to go to a few of my favorite parades and feel the energy of the season. 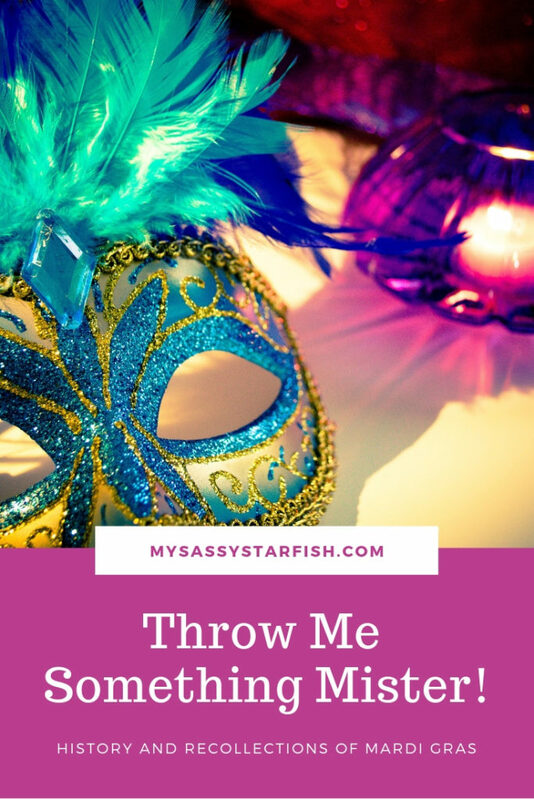 Let’s take a walk down memory lane and learn a little history about the throws that make Mardi Gras so unique. Back in the 1940s through 1960s beautiful Czech glass beads were thrown from floats. They were all kinds of colors, sizes, and shapes. Glass beads were replaced by plastic beads made in Hong Kong, Taiwan, and then China. The glass beads seem very fancy and are highly sought after collector items now. Throughout big antique malls in New Orleans like the Magazine Antique Mall they are for sale for 30-60 dollars a strand! Doubloons have been thrown throughout my lifetime. I did not realize until recently that they are a newer edition to Mardi Gras tradition. Doubloons were first thrown by the New Orlean’s Krewe of Rex in 1960. The Gulf Coast Carnival Association in Biloxi has doubloons for every year since 1966. They often depict the theme chosen for the parades or the specific krewe that throws them. Now what you must do to get the flower may shock your delicate sensibilities. In order to receive a flower, you must kiss a member of the marching group. That’s right, you have to kiss a tipsy stranger for a paper flower. Now, I am both appalled and charmed by the whole thing. And yes, I have participated and received my paper flower. I mean, it is a Mississippi Gulf Coast rite of passage. Other Marching groups and Bands always participate as well! Like the first Mardi Gras parades, Mobile is also attributed to beginning the tradition of throwing MoonPies as throws. 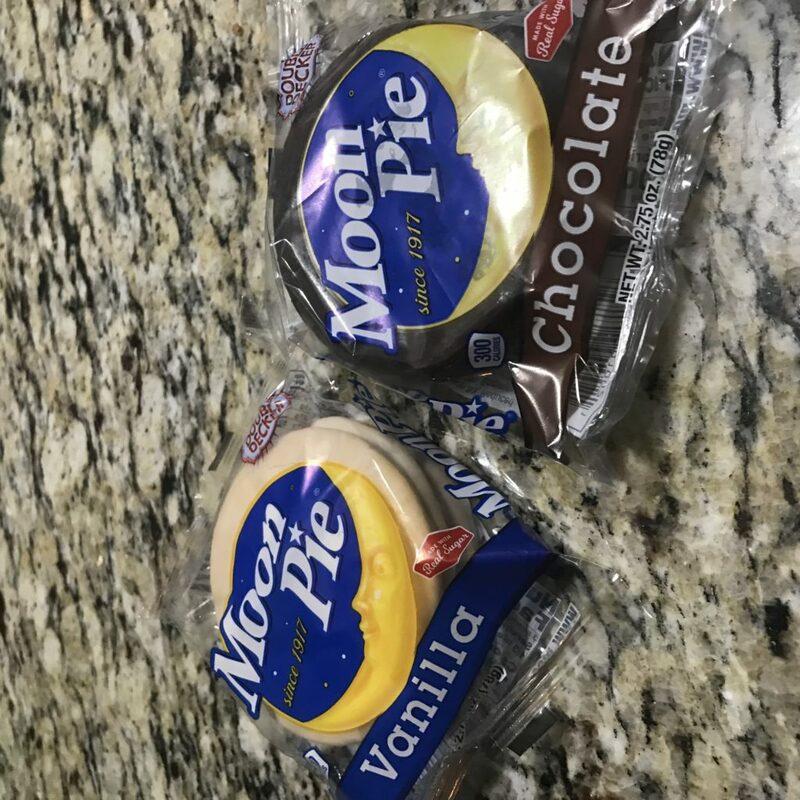 Throwing MoonPies began after a ban was placed on throwing boxes of popcorn. 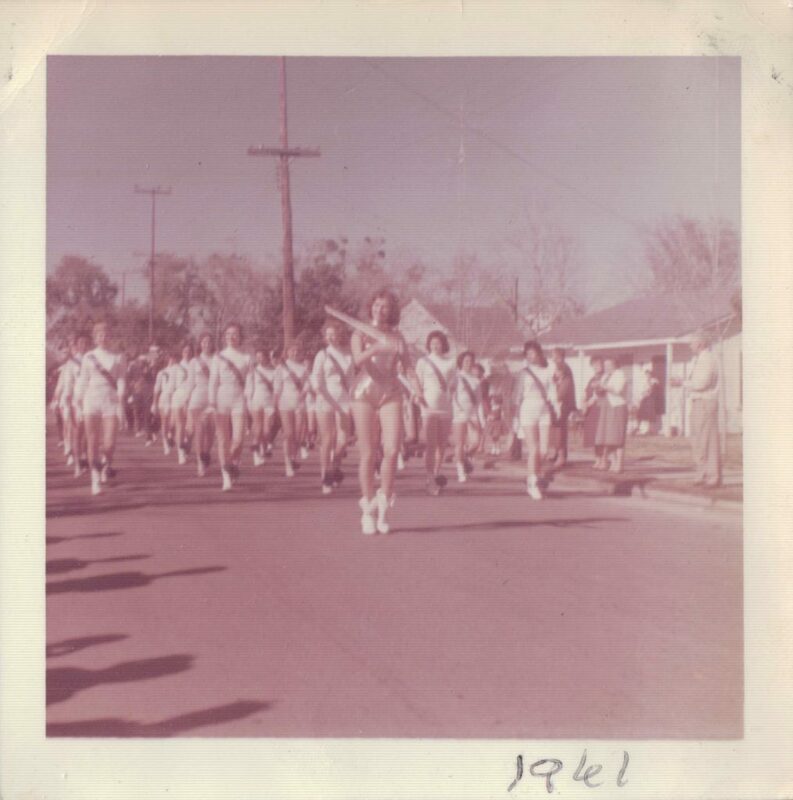 As a replacement, the soft MoonPies made a parade debut in the 1970s. It was chosen because it is soft. However, the MoonPie as a throw was challenged in 1986 when parade goers were pelted with unopened boxes! Fortunately, an agreement was made between the Carnival Association and the city to only throw MoonPies one at a time, and the tradition has continued. The tradition has obviously spread throughout towns that celebrate Mardi Gras along the Gulf Coast. It supposed me to find out that MoonPies come from Chatanooga, Tennessee and not New Orleans. They were actually created in 1917and are still manufactured there. I claim not to like them, but will sometimes snack on one between parades. With the flavors banana, strawberry, chocolate, vanilla, and now salted caramel there are plenty options to choose from. Casinos were built again in Biloxi on barges beginning in 1992 with the Isle of Carpi. Many more followed. From this time until Hurricane Katrina, Mardi Gras throws were quiet exciting! It began with plastic beads in the shape of dice. Those were a big deal in the mid-1990s. Casinos threw anything they could post with their name. They threw retired playing cards from the Black Jack tables, cups, and special edition beads. What is your favorite thing to catch during Mardi Gras? What is the most unusual thing you have caught in a parade? 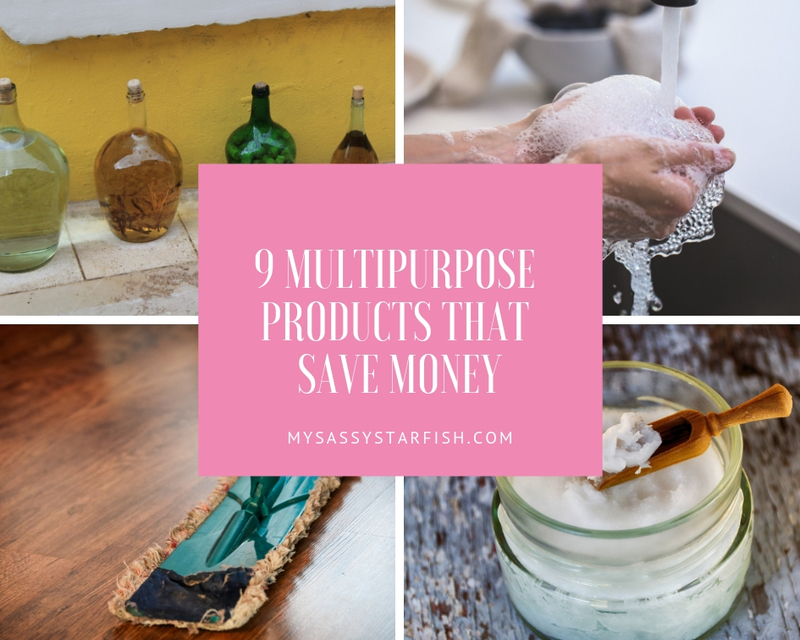 9 Multipurpose Products That Will Save You Money! I am approaching week five of my two month No Spend goal. So far, I have only had a few planned exceptions and desperate need for new walking shoes. When I go on the weekly grocery haul, I make a list of all beauty, house, and food related purchases I need to make. Hands down my most expensive trip are when I need to buy non-food items like cleaners and shampoos. Don’t get me started if I have to buy toilet paper or paper towels. So in the spirit of saving money. 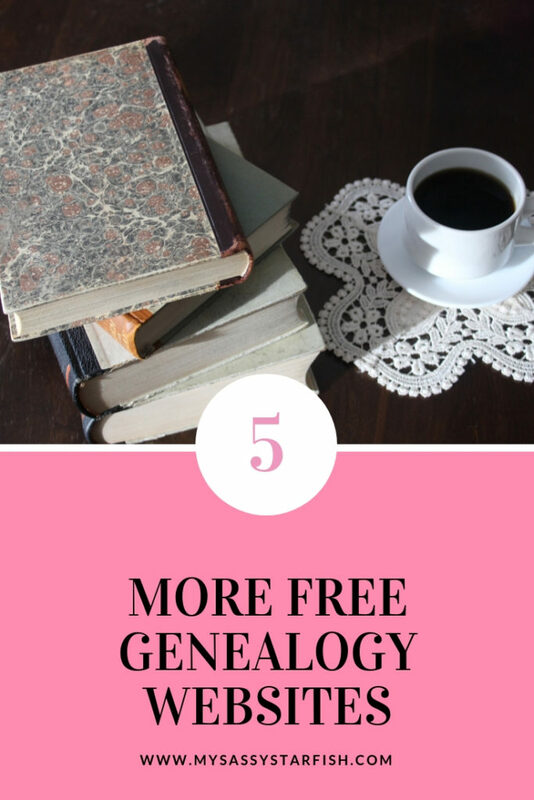 I searched around Pinterest, websites, and my trusty historic newspaper database Genealogy Bank to find some multipurpose items that won’t break the piggy bank. I chose nine of my top versatile products. However, I have also been told vinegar makes great fabric softener, stain remover, odor reducer, glass cleaner, and so on. This small list does not even touch the beauty and cooking possibilities of plain vinegar. The best part? 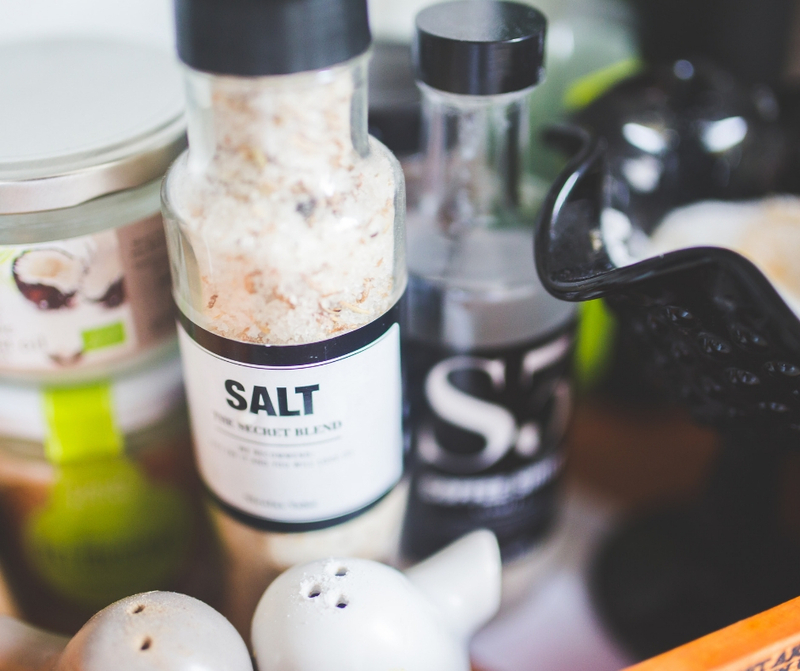 Standard white vinegar averages less than $3.50 a gallon according to Walmart’s online store. Dawn (or comparative store brand) is a great option to scrub dishes without destroying your hands. We have all seen the ads where the cute little animals are rescued from oil spills and bathed with Dawn. Those commercials get me every time! I also recently discovered thanks to my best friend @muddymeraid that it is one of the few options that can pull grease stains out of clothes. If the stain is too old it does not work. However, it is possible to dab and massage the stain with a little Dawn, let sit for a bit, and wash. It has worked on a few items I thought were goners for sure. One of my favorite YouTuber’s, Kristen, with The Gold Project mentioned taking a spray bottle and filling it with Dawn and our old friend vinegar for tough soap scum in bathtubs. I have not tried it yet, but have commandeered an empty spray bottle to give it a try when the expensive bathroom cleaner foam runs out. The average price for Dawn brand dish soap is 12 cents a fluid ounce for the unscented at Walmart. One recent hack I tried with baking soda that worked wonders is to clean a grungy microwave. The first, load some into a microwave safe cup and cover it with water. Run it in your microwave and wipe away the residue left afterwards. Just this alone makes baking soda worth 50 cents a box! I like that castile soap is made from plant based oils instead of animal fat. It can be purchased with or without scent. Castile has more options uses that just lathering up and rinsing off! Castile soap can be made into other products such as laundry detergent, shampoo, ant spray, and even to wash pets with sensitive skin. Since it has all natural and biodegradable is a great option for those with sensitive skin. It comes in so many scent and can easily be purchased at the grocery store on Amazon. 2. Peppermint for decongestion and to wake me up. 3. Almond to smell like wedding cake. 4. Rose to feel fancy. 5. Tea tree is one that I have not tried, but would like too! This topical ointment was all the rage back in the 1990s. I remember having a version of this around the house at my grandmother’s. I was reintroduced when I lived in Vietnam. My friends were using it for bug bite relief since our flats were plague with mosquitoes sneaking in through the drains. Since I bought my first jar back in Ho Chi Minh City for 80 cents, I have kept one on hand. They can be purchased in multi-packs as well. There is a red version (with cinnamon) and a white version. Both the white and the red are amazing. However, the red stains everything! It is camphor and menthol based with mint included. It helps relieve muscles, decongest sinuses, stop headaches, and deodorizer. I use it most mornings on my desk while I teach classes. The fresh scent wakes me up and signals for me to start the day. Confession, I rarely actually rarely use laundry sheets for what they are intended. They only enter the dryer on cold nights when I need my Netflix and snuggle blanket fresh. Dryer sheets actually make excellent baseboard cleaners. They pull out a lot of the dust and do not leave streaks like when a liquid cleaner is employed. They also freshen drawers, suitcases, and cars. I like to buy the small boxes for a few dollars since they can also be torn in half. This way each sheet gets two uses. Witch hazel has replaced all toners in my life. Back in my acne prone and oily skin days it was not enough. I had to use something with salicylic acid in it to have a hope of taming my skin. Now my skin is still break out prone, and kind of oily. However, it is a lot less intense and more prone to dryness than before. Witch hazel is a natural and gentle astringent. It is also plant based, and can be used to relive other minor skin irritations. Hint: The store brand witch hazel works just as well as the fancier brands in the skin care aisle. Try to check the medical and pharmacy section first for cheaper options. Coconut oil is the miracle product of the millennials. It is said to cure everything and be everything. I am not sure about all of this. Recent articles are now claiming ingesting coconut oils is worse than vegetable oils for your arteries. It has high content of saturated fat that is not good for cardiac health. So I am going to focus on the topical benefits of coconut oil. It is literally the best moisturizer for everything. Skin, scalp, and cuticles. My favorite scrubs are coconut oil based because they offer a fresh feeling after taking off dead skin. With prizes for lotions and creams what they are. 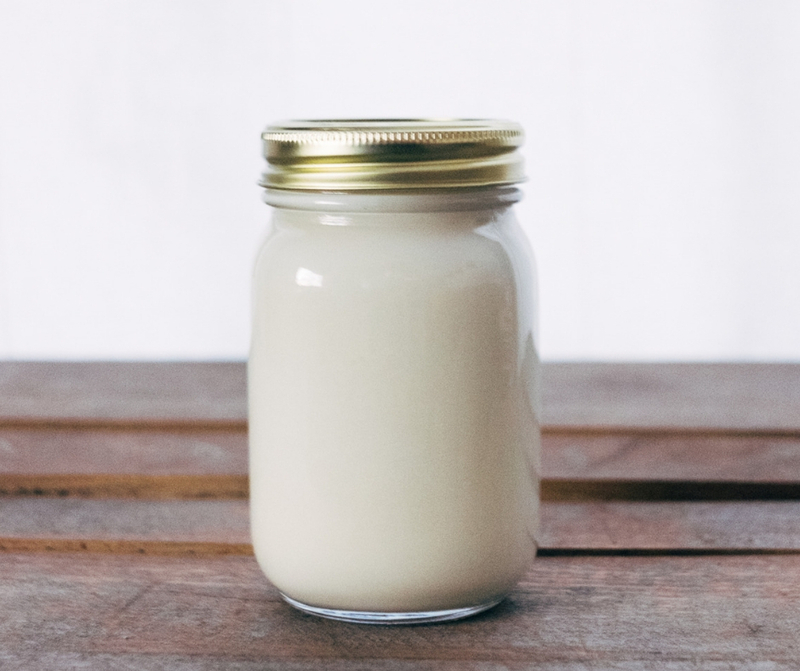 Why not buy a jar of coconut oil and make it yourself? Who still uses it to lighten their hair in the summer? I remember I did during pool days in the 90s. It is very apparent by now that I like things that are kind of natural. Lemon juice is to lighten nails. I like to use this after wearing dark polish for too long. It can polish silver and remove other stains. 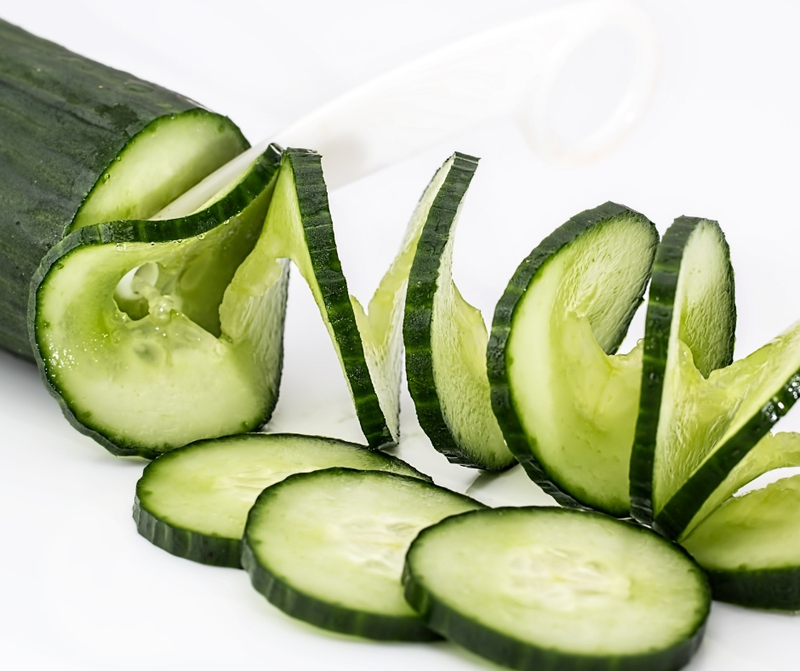 It is also useful to refresh and deodorize garbage disposals as well as wooden cutting boards. This article has several great uses to try with a bag of lemons! This list does not highlight other awesome products like essential oils, apple cider vinegar, or Epson salt. It is just my starting point as I begin to alleviate the ‘extras’ from our cabinets. I hope to use combinations of these great projects to expand into more uses. 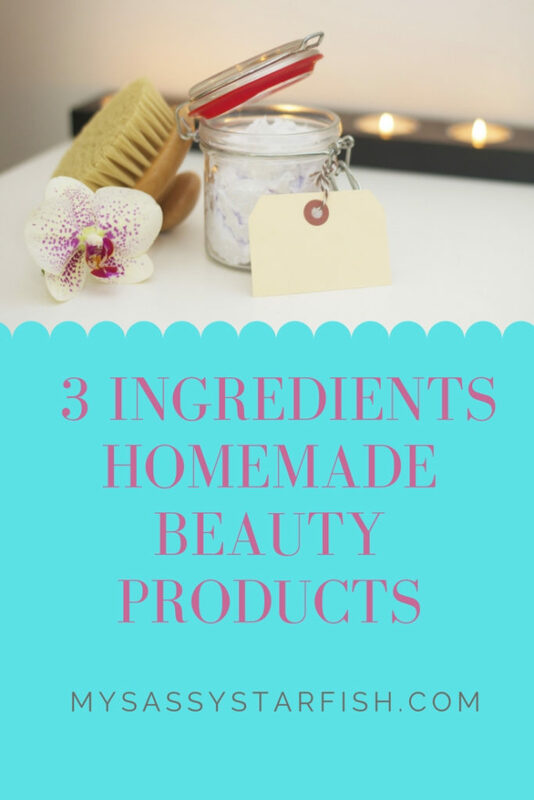 What is your favorite simple or natural products? Anything you suggest I should try? Back in March 2013 I posted my top favorite free websites. Now it is time for an update six years later! About seven months ago I returned to being a local history librarian while continuing my online teaching. It has been a good experience to reacquaint myself with new resources. My research tactics have changed over the past six years. DNA testing was not an option, and I used many web sources to find information. Here is my list of great websites to help you along with your research. I highly recommend adding this website to your favorites bar right now! It contains over 240,000 links to free resources. The top menu bar is easily arranged by category and there is also a state search as well. Its star attraction is the massive Native America census database linked with the Free US Indian Census roll from 1885-1940. It also has an impressive selection of African American resources as well uploaded by individuals. It is easy to get lost moving through the categories and searches. Anyone can subscribe by e-mail to be notified of when new resources are posted. Both of these sites operate under the principal of offering open source pictures and documents to the public. They have partnered with several librarians, universities, and museum collections in order to digitize their images for public use. All items have citations and searchable descriptions. Some of my favorite items found on Mississippi Digital Library are the papers of the Dantzler Lumber Company that had a log book of the Cedar Lake grocery story. I found three different great grandfather’s names posted in their accounts! Take time to check out the Mardi Gras illustrations available to Louisiana Digital Library. They are worthy to hang as wall art! I have used this website for over eight years. It is different from the popular WordCat. It has taken and uploaded digital books that are open source. Some are easily accessible by clicking their pdf link. No log in or password required. Open Library has a free log in for anyone very interested in the resources available here. Obscure and out-of-print genealogy books. History books of counties, passenger ships, and people. Antique reports of industry and commerce. Bibliographical and citation information for your librarian to search for hard to find books. The significance of Ellis Island is no secret in the word of genealogy. Over 12 million immigrants passed through Ellis Island on their way to a new life in the United States. It was active from the years 1892 through 1954! The only requirement to complete the passenger search is to create a free account. Before Ellis Island, the main immigrant port was Castle Garden at Battery Park also in New York City. Castle Garden was active from 1820 until 1892. The website states, “Today more than 100 million Americans can trace their ancestry to this early period of immigration.” The database is open and does not require a log in. It contains useful information such as age, date of birth, country of origin, and ship name. Both of these are great sources if you are unsure where you family entered the country. Autumn View of the Old Biloxi Cemetery during the Annual Cemetery Tour! This is a very specific, but useful database. The portal was released in October of 2018 by the City of Biloxi. 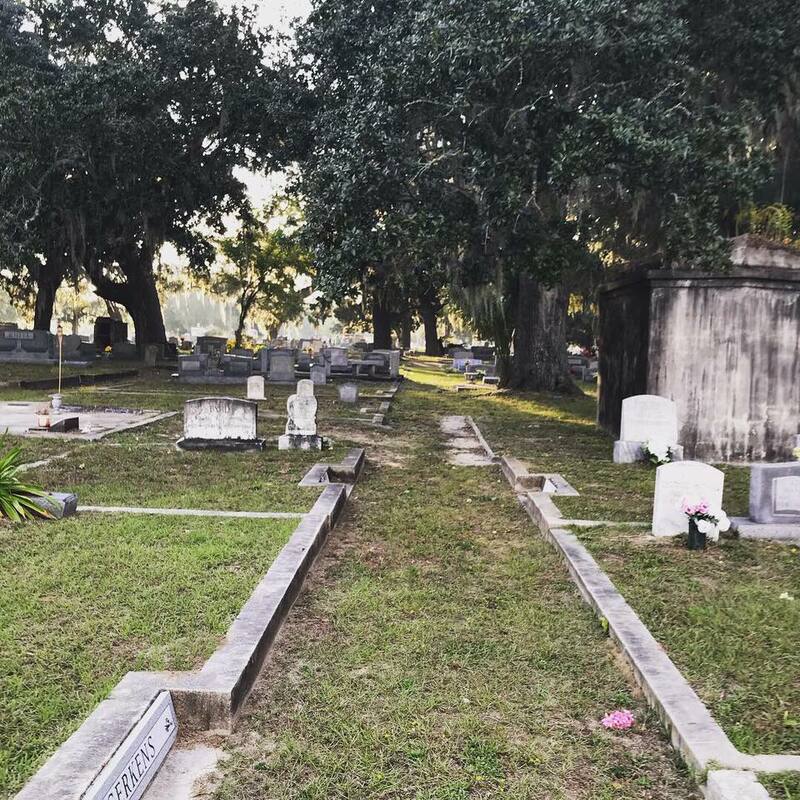 It is a searchable database for the Old Biloxi also known as The Old French Cemetery on Highway 90 in Biloxi, Mississippi. Follow this link or check out the homepage of The City of Biloxi “Cemetery” link to access it. Search the records using last name first. Once you choose a name on the right, you can see who else is interred in the plot. I would use this with another free website called Find a Grave. Some of the sections (like addition 6 across Irish Hill Drive) have not been completed. Some of the records are incomplete as well and only give name. Still, it is a great map if you are looking to visit the cemetery on a clear day and visit ancestors under the moss covered oaks. If you want further help without paying a dime you can checkout this fantastic 50 website list by Family History Daily. How have websites help you in your genealogy and historical research? When my parents asked me if I wanted to try to complete my DNA analysis last year I was excited! I had been doing personal genealogy research and been relying on family word of mouth for years. I scoured misspelled names on census records and squinted at 1800s script hand writing to exactly pinpoint all the countries of origin from my family. It is a time consuming process. So with my career change in 2017, finding past the immigrants was just going to have to wait. Then, all the guess work was made easy with the revolution of the Ancestry and 23andMe DNA services. After spitting in a tube, creating an online account, and mailing a pre-labeled package a concise family history was e-mailed to me three weeks later. However, since then big questions about the security and safety of our genetic privacy have been brought up. I never imagined how much controversy was ahead after I submitted my test. My reason for bringing up this post, is because last October I received a notification from Ancestry. Due to the influx of more than 13,000 samples my DNA results had been “updated.” What they mean by updated is that they changed nearly 30% of my estimated results! I knew that the service works by tabulating and ultimately guesstimating portions of genetic markers. I just did not thing the results could change so much. It still aligns with some of my family research. (By the way, I am still over 50% British.) Some of my higher predictions like southern European and Spanish dropped to less than 4 percent each. It was then replaced with 20% French and a percentage of German ancestry. Both sides of my family have colonial French roots all the way back to 1700, and I have a known if a Bavarian great-grandfather. A surprising newspaper article confirmed another ancestor I mistook as a different origin as well. In that paper, I found a British great-great grandmother that was originally thought to be Spanish. I am sure I will find some more proof as I continue to research. I am much more understanding of the change now that I have done some research. The more samples the company acquires the more markers can be identified and correctly placed. I would not be surprised in if it changed again. Are you nervous for your genetic information? These concerns are worth considering. As of June 2018 it was estimated Ancestry’s DNA database contains over 9 million samples. That is roughly the population size of Honduras or the state of New Jersey. I live with the belief that anything placed online or uploaded is at risk. When I sent in my DNA last November I was taking that risk. I do believe more laws will come and greater security measures as well to meet the demand of privacy. Or I could be wrong, and a brunette 5’2 mini-me is being created. I just really hope they remove the risk of the adrenal tumor before creating her. There is also a positive side where people are connecting with long lost relatives. Some even finding birth parents and half siblings! It truly is the great unknown word of genetic matching, and I am in for the ride. Would I do it again? My answer is a solid probably. My curiosity simply over turns my sense of fear. Especially after finding my results shifted, I have used it as a guide to find if I’m on the track. However, I don’t think of it as final. It’s just part of the evolving story of me and my family history. 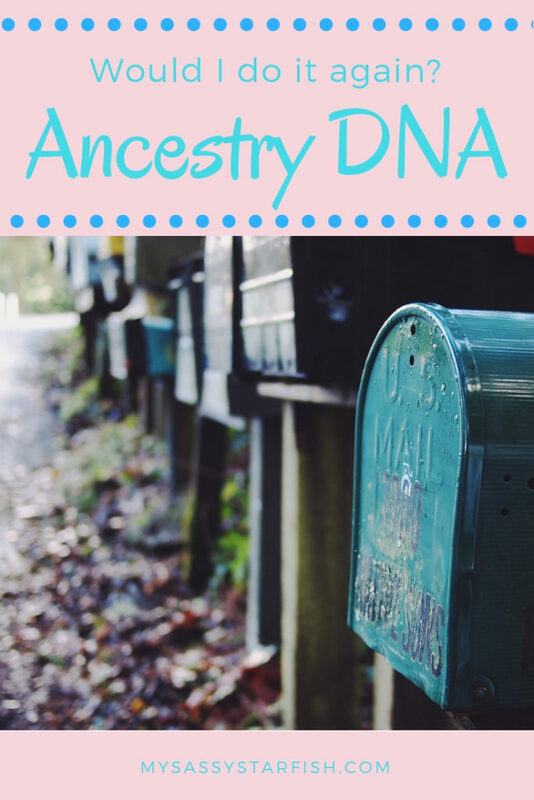 What was your DNA test experience? 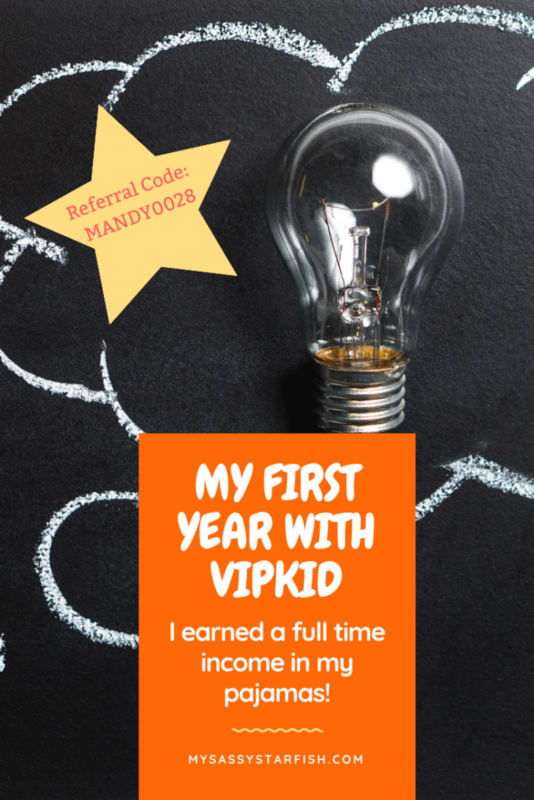 My First Year with VIPKID in Review: I Earned a Full Time Income in My Pajamas! 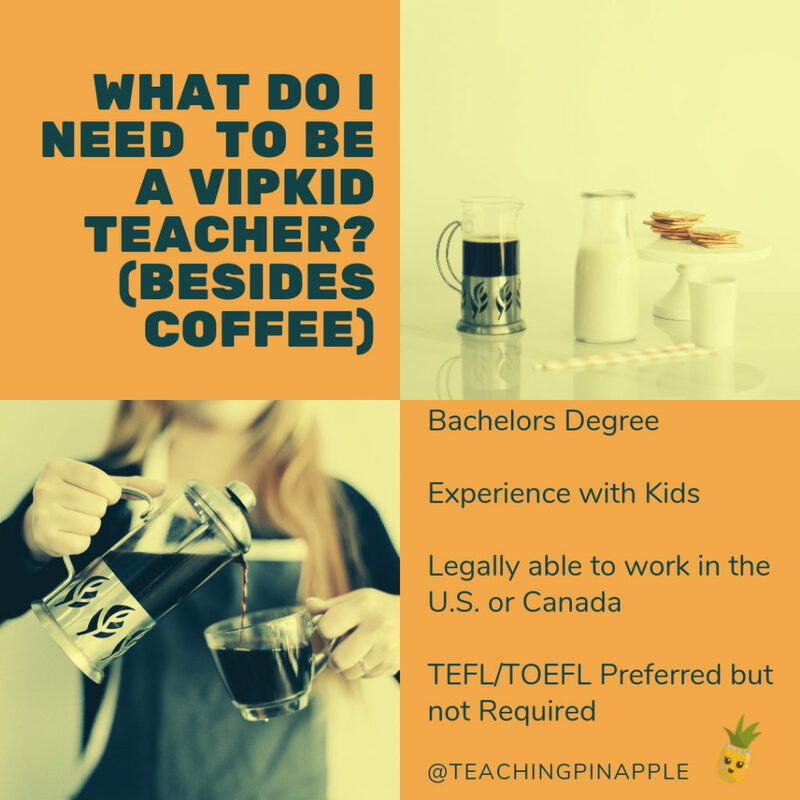 In this post, I will outline the basic, rewards, and challenges of pursuing a teaching path with VIPKID as promised in my 2019 New Year’s post! VIPKID is an online ESL company based out of Beijing, China. Its purpose is to connect North American teachers with Chinese students in order for them to learn English. I teach one student at a time in 25 minute increments. I work from 4 A.M. to 8 A.M. most mornings and anytime through the night on weekends. I teach using my computer, headset, and webcam in an office space in my room. It requires a stable and fast internet connection. I use an assortment of props to teach and rewards to keep the students interested. My appearance is always well kept and a shirt in a solid shirt. A bachelor’s degree is an absolute minimum requirement. It is also required to be able to legally work in Canada or America. New sanctions by the Chinese government are asking for TEFL/TESOL certificates or state teacher licenses. Do not let this discourage you from applying if you are thinking of it. VIPKID has its own program available to earn a TESOL certification. Pay ranges between 16-24 dollars per hour. This depends on the amount of class and base paid assigned during interview. Within three months, I was making more than I did in public school. I get this question daily. I also hear, “How do you teach them if you don’t know their language?” VIPKID is a full emersion ESL course. This means, that only English is spoken in all instruction. The program is staged so that a new learner just learns a few words using pictures while an advanced student holds conversations on topics focused in the lesson. It is essential to speak slowly, and do not add extra words. It takes some time learn, but becomes second nature quickly. Props, flashcards, and pictures is helpful as well in getting the point across. For more information about teaching English as a Second Language I would check out this website. I can honestly say I love my students! They are kind and genuinely interested in how my day is going. I get sweet e-cards and messages from them. As a rule, they are prepared for class, and willing to listen for corrections. My students range from ages four to twelve. Each age comes with its rewards and challenges. I teach in my pajama bottoms! That’s right. Out of the 2000+ classes I taught, I have taught them all in pajama bottoms. The schedule is flexible. There is no minimum requirement of classes to teach each week. If you can get up early, you can choose what days and times you would like to work. Classes book every two weeks, and I choose the schedule I want at that time. So if I have plans or a trip, I don’t open classes for that day. The prep and feedback time is minimal. 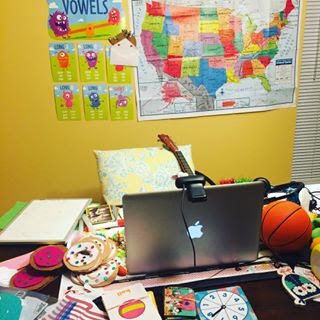 The longer I worked for VIPKID the less time I needed to prepare for classes. Once I have seen the lesson in action, it is easy for me to strategize the next time it comes ups. Feedback is roughly a paragraph per student describing their performance in class. It beats staying on campus past five in order to prepare for state testing. On the same note, the time worked directly coordinates with my pay. It’s simple, the more classes I teach, the more I make. After years of salary, I appreciate this simple formula. 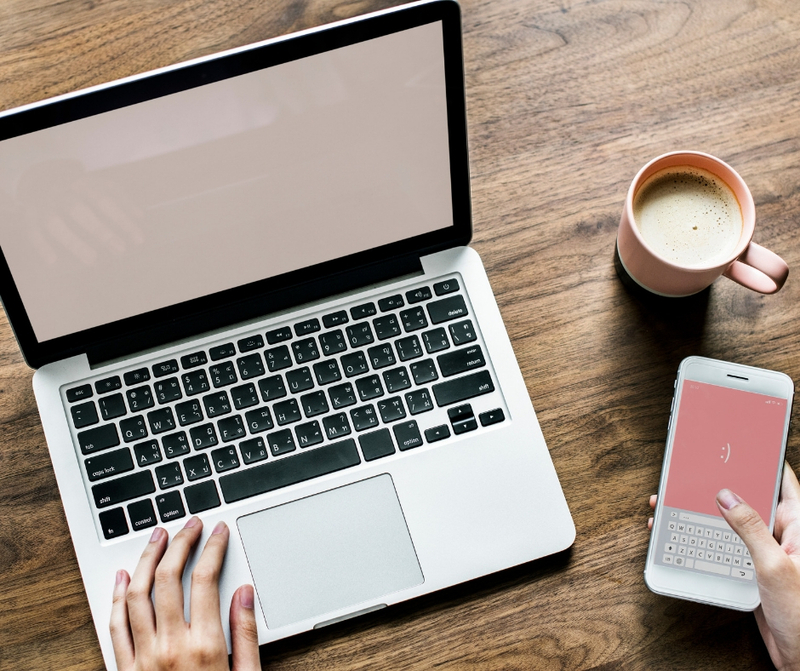 There are three things to be in conscious of about VIPKID that comes to the shock of some teachers. You are an independent contractor. That means no benefits, and the possibility of being let go for any reason. Bookings are not guaranteed. Some teachers take a significant amount of time to book classes and gain regular students. Other times, bookings are effected by Chinese holidays and exam schedules. Their cancellation and no show policy is strict. You lose your job after 6 and expect fines. Do you have any questions? Ask me anything about teaching online! I wouldn’t take back this year of teaching for anything! I’m excited to start another year with VIPKID, and a new company launching in January called Naativ. New Year and Same Me. How I can’t seem to keep my New Year’s Resolutions…. Holidays are fun, but now it is time for business. The question I ask myself more frequently the older I get is, “Where did the time go?” This year is no exception. It really flew by with me spending half of it in my pajama bottoms. 2018 has been my year of self-pursuit. A year where for the first time in seven I didn’t step foot in a public school as an employee. A year where I learned you really can go back in time. It has also proved to me I can make a good living wage from my home. 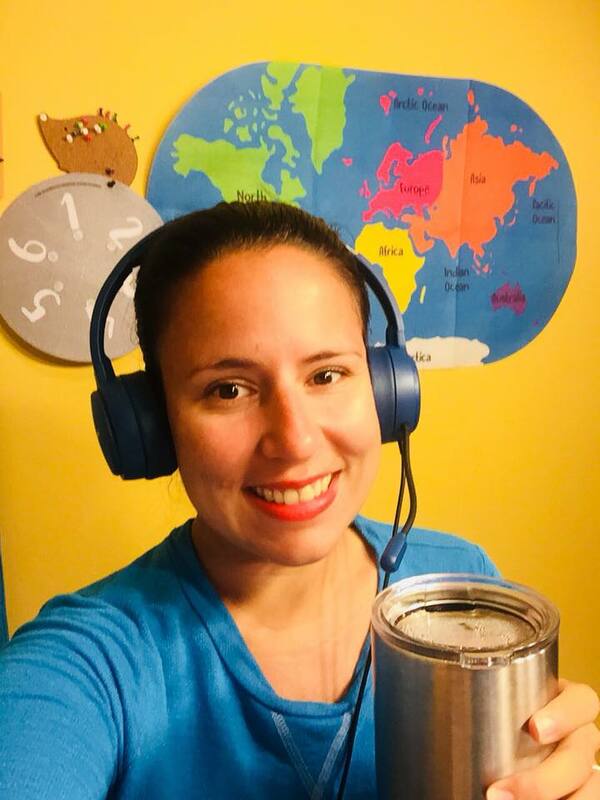 Today marks my first full year with VIPKID! 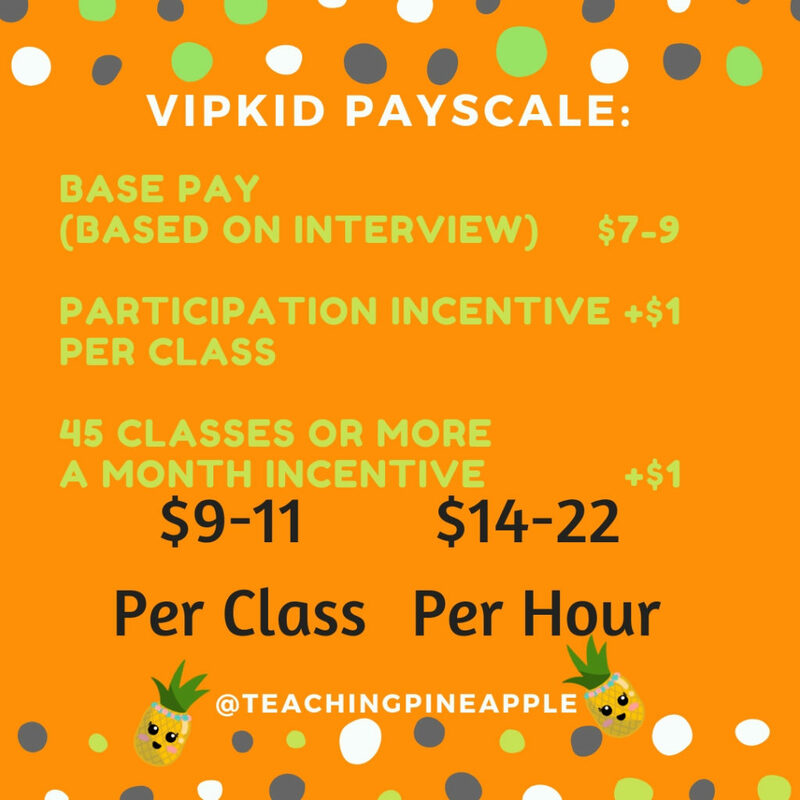 (Check out my Instagram @teachingpinapple for more information.) It has been an adventure from my own office room. I have taught students in the Beijing Subway, learned about dumplings, and saw the sunset over Shanghai. The kids are delightful, and I love meeting new ones every day! The time has come to make my annual promises to myself. I always try to bite off more than I can chew when it comes to New Year’s resolutions. I come up with half a dozen on average and rarely keep them. Many of my major changes have been through circumstance, and not the passing of the new year. I adopted a healthy lifestyle when I got sick in 2015, cut spending in 2016 when my husband was laid off, and left a career in 2017 when I no longer felt happy there. Homemade treats are always something I spend too much money on. Now, I decided to put myself into an action-oriented mind frame for 2019. I will only adopt a few short-term goals and go from there. My first objective is my January to February no spend months. (Also known as a Spending Fast or Shopping Ban.) I have successfully completed two short term fasts. Once in 2016 and again at the beginning of 2018 when I began with VIPKID. *Buy only the essentials. I can only spend money on groceries, toiletries/cleaning supplies that are out, and other required items. *No eating out or coffees to go. *Inventory and repurpose things I already have. *I will still participate in our twice monthly Trivia game. Part because it is a lot of fun, and because the money goes to charity. I plan to have a small budget for weekly trivia. *We will enjoy a trip to see a band in Pensacola, Florida. This is a Christmas gift for my husband. * Anything essential to my online classroom like my headphones, computer, backup tablet, and webcam must be replaced if they break. Everyone’s goals and needs are different. It is okay if you want to cut spending in one aspect of your life. It is also okay if you want to cut dozens of things. So far, several friends are going to travel on this journey with me. I will post some tips throughout the week. 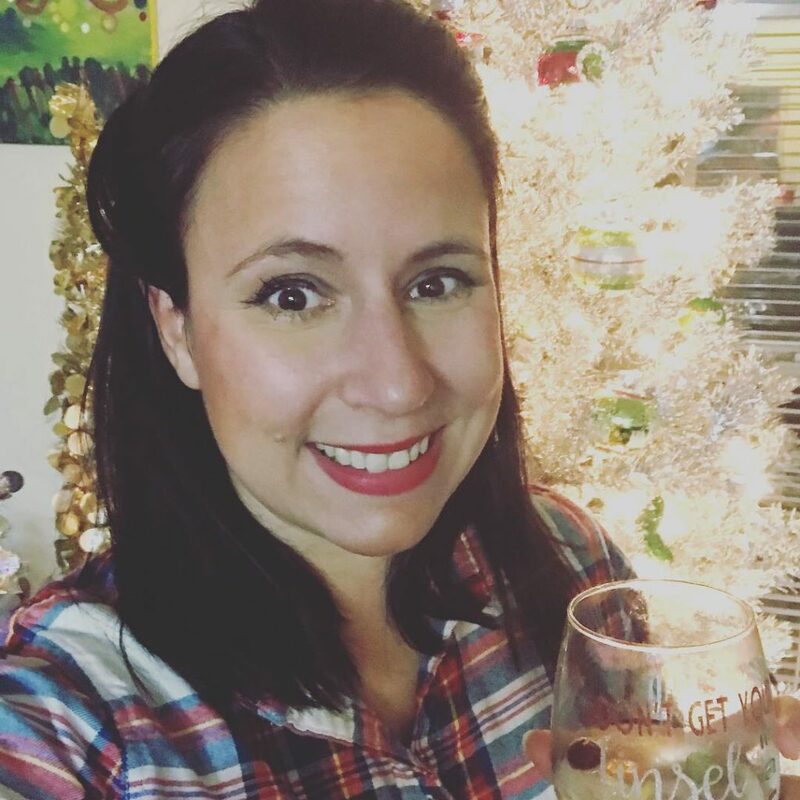 I also invite you to keep track of my weekly progress on my Facebook group and Instagram @MySassyStarfish I intend to post weekly updates on both either in story, list, or live feed form.